Win a free copy of the author's books! "Causes" became a bona fide Amazon Best Seller. Glutamate is an ‘excitatory amino acid’ – excesses of which in the brain signal microglial cells to change shape, from nice little neuron-looking cells to amoeboid macrophages. And in that shape, they do what macrophages do: they eat. Activated microglial cells are fantastic – without them we would all die from bacterial invasion of our brains. When there are no viruses and bacteria or damaged brain tissue around to scarf up, but glutamate signal is up anayway, they eat anything. They munch away at dendritic extensions, neural precursor cells, and other healthy tissue. They cause apoptosis, and the release of more cytokines that indicate that there is damaged tissue. While in this brain-tissue ravenous state, from which they cannot escape in the face of glutamate excesses, they are incapable of doing the other things that microglial cells do in their inactivated state: Negotiating and facilitating proper synapse connections. Repeated instances of excitotoxicity impair the brain’s ability to signal the microglial cells to calm down. This leads to a condition known as Chronic Microglial Cell Activation, or CMA. An imbalance in the number of Excitatory/Inhibition (E/I) synapses. If one looks at autistic brains, guess what we find? Basically, you end up with a sparsely connected brain. This can happen at any age. This process is called ‘excitotoxicity’. You will want to learn it. You will be hearing A LOT about it in 2016. I’m not the first to describe CMA, no. The earliest loudest clarion calls I know of are those from Dr. Russell Blaylock. We all owe him a debt of gratitude for having the foresight to put the pieces of the puzzle together. Sure, he didn’t know all that’s known now about CMA. But he sure knew a lot of it. And we know a lot more now, too. Mitochondrial dysfunction occurs in around 5% of cases of ASD due to genetics causes, and up to an additional 15% due to environmental causes. Germany’s Green Party reported that breast milk in German mother is unsafe after finding high amounts of glyphosate in the range of 0.210 and 0.432 nanograms per milliliter (the safe limit in drinking water a quantity of no more than 0.100 nanograms). Gallegos C et al.. 2015 Exposure to a glyphosate-based herbicide during pregnancy and lactation induces neurobehavioral alterations in rat offspring. Neurotoxicology. 53:20-28. doi: 10.1016/j.neuro.2015.11.015. They found that glyphosate likely alters mechanisms or neurotransmitter systems that regulate locomotor activity and anxiety… Sounds a bit autismal to me. Oh, and rats are animals, not plants. Hernández-Plata I et al., 2015. The herbicide glyphosate causes behavioral changes and alterations in dopaminergic markers in male Sprague-Dawley rat. Neurotoxicology. 2015 Jan;46:79-91. doi: 10.1016/j.neuro.2014.12.001. Hmmm, I’ve heard about dopaminergic issues in ASD quite a bit while researching for my next book. Although it’s important for understanding some important pieces of the ASD puzzle, I’ll spare you for now. They noted mTOR signaling disruption, which, for the nervous system, means loss of macroautophagy, i.e., a dearth of microglial pruning of dendritic processes by microglial cells. Chłopecka M et al., 2014. Glyphosate affects the spontaneous motoric activity of intestine at very low doses – in vitro study. Pestic Biochem Physiol. 2014 Jul;113:25-30. doi: 10.1016/j.pestbp.2014.06.005. Ok, ok. So Glyphosate can cause some liver damage, kidney damage, gut issues. What’s the big deal, right? CX3CR1 is a chemokine receptor expressed by microglia in the brain. In mice lacking the gene, microglial cell numbers were decreased and synaptic pruning was delayed (Paolicelli et al., 2011). Basically this means that glyphosate is likely to cause macrohpagic activation in the gut, and microglial activation in the brain. The importance of these findings for gastrointestinal issues in ASD are obvious. 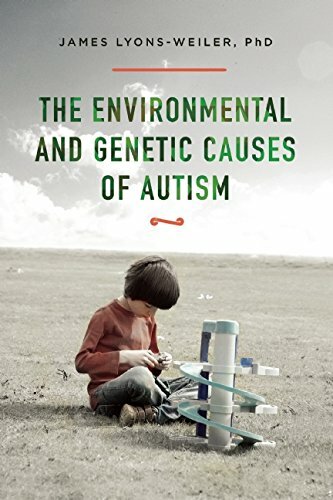 We can also pay attention to the fact that glyphosate is among the chemicals found to be on the increase over the period of time when autism has been increasing (Nevison, 2014). But wait, there’s even more. Abdel-Hamid et al., 2013. Effect of vitamin E and selenium against aluminum-induced nephrotoxicity in pregnant rats. Folia Histochem Cytobiol. 51(4):312-9. doi: 10.5603/FHC.2013.0042. Glyphosate also creates unique complexes with aluminum (Shaw et al., 2014), and together they influence pineal gland pathology (Seneff et al, 2015). I hasten to remind them that every single retrospective epidemiological study that the CDC cites showing that “Vaccines Do Not Cause Autism” has another name: they are also called “Ecological Studies”. And a third name: they are called “Correlative Studies”. And fourth name: “Observational Studies”. So every time you try to impeach observations and analyses that match trends, remember: you are impeaching the CDC’s own handiwork at crafting negative association results from positive ones. A positive result in a correlation arrived at by objective means is a minimal criterion for causal inference, but it is still there. Nevison (2014) found other candidates as well. So I’ll bet Nevison’s correlative studies plus the other studies showing Glyphosate’s ability to be an Autismogen against the CDC’s observational, correlative retrospective studies anytime. This is in no small part because Dr. William Thompson revealed that the CDC omitted results and fudged the results from these types of studies as a matter of routine. No one has stepped forward claiming that Dr. Nevison fudged her data. And they won’t. Because she didn’t. Her data are publicly available, and the results can be easily reproduced. California, be concerned about Lifetime Cumulative Exposures to Neurotoxins that can Induce Chronic Microglial Activation (CMA). And be especially concerned about the synergistic interactions between aluminum and glyphosate in causing autism. If I lived in California, I’d contact my representatives and shut down Monsanto’s attempts to stop the government from listing Glyphosate as a carcinogen. In fact, I’d send them this blog article and implore them to ALSO list Glyphosate as a suspected cause of autism. And while I was at it, I would demand while they are at it that they outlaw the use of aluminum in vaccines in California. They may have forced coerced vaccinations, but you can still ban the use of aluminum in vaccines. Guyton KZ et al., 2015. Carcinogenicity of tetrachlorvinphos, parathion, malathion, diazinon, and glyphosate. Lancet Oncol. 16(5):490-1. doi: 10.1016/S1470-2045(15)70134-8. That’s the study that Monsanto wants California and wanted the WHO (World Health Organization) to ignore (they didn’t), and they wanted the Lancet to retract. That would be a rather difficult trick, I would imagine as it is simply a report of the studies showing likely carcinogenicity of Glyphosate. And other chemicals. In other words, it’s just a report on the Science. 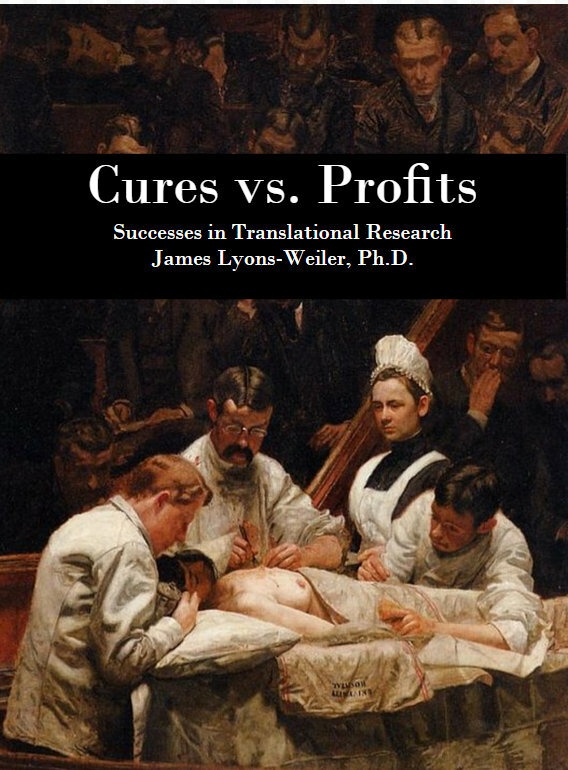 The Lancet would not dare retract Science? Not right while everyone is watching? Dr. Lyons-Weiler is the President & CEO of the Institute for Pure and Applied Knowledge located near Pittsburgh, PA.
Cattani D et al., 2014. Mechanisms underlying the neurotoxicity induced by glyphosate-based herbicide in immature rat hippocampus: involvement of glutamate excitotoxicity. Toxicology. 320:34-45. doi: 10.1016/j.tox.2014.03.001. Nevison CD. 2014. A comparison of temporal trends in United States autism prevalence to trends in suspected environmental factors. Environ Health. 13:73. doi: 10.1186/1476-069X-13-73. Peixoto F, 2005. Comparative effects of the Roundup and glyphosate on mitochondrial oxidative phosphorylation. Chemosphere. 61(8):1115-22. Seneff S et al., 2015. Aluminum and glyphosate can synergistically induce pineal gland pathology: connection to gut dysbiosis and neurological disease. Agricultural Sciences 6:42-70. Shaw CA et al., 2014. Aluminum-induced entropy in biological systems: implications for neurological disease. J Toxicol. 491316. doi: 10.1155/2014/491316.